I finally met another relative through Ancestry. com that was located right here in California. She was born and raised in Brunswick, Ga. but has spent most of her adult life right here outside of San Francisco, California. Leila is the closest direct descendant of Mose and Matilda McRae, that we are aware of, they are her grandparents. Leila's father was John Franklin McRae, and her mother was Josephine Thomas, who was his third wife, and was almost 40 years his junior. We all wondered how it was possible for the grandchild of Mose and Matilda McRae, both born in the mid-1800s, could be still be alive. The fact that John Franklin, born in 1880, married a very young girl is the reason why. John Franklin was 62 years old when Lelia was born. She was seven years old when her father passed. Leila and I have been talking on the phone for the past year. 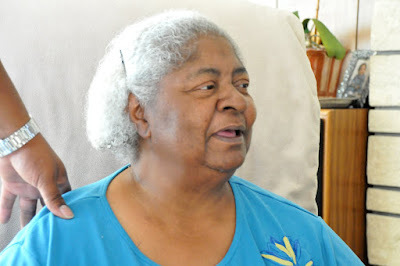 My mother Betty Ryals Keitt, has also been communicating with her. She too is amazed that this is possible, because Mose and Matilda were her great grandparents. Last week my daughter and I drove up to San Francisco and was able to meet Lelia, and she is just as beautiful and as warm a person as I had imagined. Her son Ken has been there with her because she was recently ill, so we got the chance to meet him as well. Ken pulled out all of the old photo albums showing me pictures of the family that he seems so proud of. He promises to get together a great deal of these photos for me to add to the family tree. 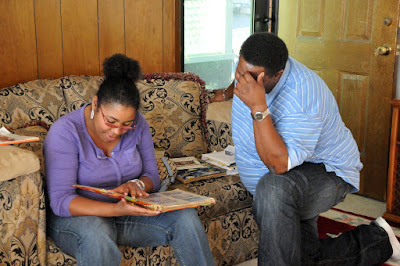 Here is a picture of he and my daughter Whitney looking through the photo albums. 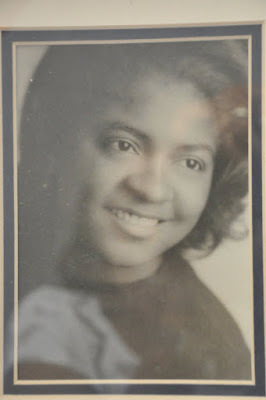 Many family members had been calling me on my way to San Francisco because of the excitement of meeting someone that is actually the granddaughter of our oldest recorded ancestor. I am blessed to have a family that wants to know who their relatives are and are always willing to embrace whom ever they come across.